Is there a specific asset you want to trade? Or is there a certain type of trade you’d like to make, like 60 Seconds or Touch/No Touch. What about a specific tool or resource – would you like trading signals or automated trades? As much as broker reviews might suggest otherwise, whether or not a broker offers these different features or perks has little to do with them. Most don’t create their own proprietary software. No, they work with companies that specialize in creating financial platforms and leasing them as white-label solutions. What this means is if there’s a specific tool, feature or asset you’re looking for, you’re almost better off starting with the source – the company who creates the software. Then, from there, find a partner (broker) to join. But be careful – it’s a pretty deep rabbit hole you can get lost in between the different platforms, partners, features and trading options. We’ve written an overview of each of these things below. Here are a few of the more popular white-label solutions out there, and examples of who they lease their software to. 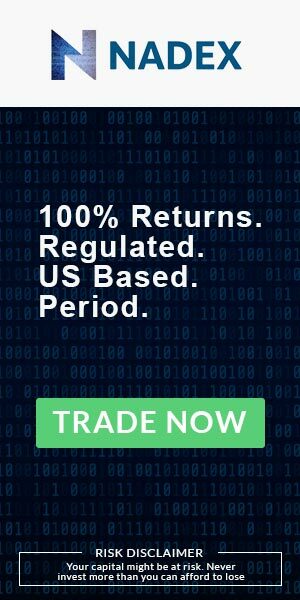 TradoLogic – Their software has won several awards including Best Binary Options Provider and Best Financial Software Provider. What I like most about them is they work with companies who are licensed in different parts of the world. For example, Cyprus (CySEC), Japan (JFSA) and Malta (LGA). SpotOption – This is one of the more popular platforms. More than 250 companies use their white-label solution which makes roughly 65% of the market. TechFinancial – They’ve been in business since 2009 and work with partners that accept US customers. TradeSmarter – A private company they started in 2008. Some of their features include mobile and social trading, short term expiries and pre-expiry options. Next we’ll look at the trades, features and tools these platforms offer. What you’ll find below is a list of the most common features, tools and options offered at online brokers. This is a general list – you’ll want to read our platform or broker reviews to learn where you can find anything in specific. APIs – Use these to create your own tools and widgets that can help you create analytics, trading histories, your own dashboards and more – either for personal use or to sell. Mobile – Native apps so you can make trades from a tablet or mobile phone – from anywhere you can access the internet. Trade Segment Analysis – A chart that helps you to find and understand trading behavior and patterns. Personal Performance – See a history of how your trades panned out. Number of assets – This can vary from 20 to more than 200 in categories such as forex, indices, commodities and stocks. 3rd Party Compatibility – Do the work with your favorite tool, signal provider or auto trading robot? Here are some of the more common trading options. High/Low – Determine if the price of an asset will move above or below a strike price at expiry. Touch/No Touch – Predict if an asset will hit a specific price or not any time before expiration. Touch Up/Down – Predict if an asset will touch a specific price before expiration. Range Boundary (In/Out) – Predict if an asset will expire in or out of a predetermined range. Binary 100 – Predict if an event will happen. You profit from the difference between the purchase price and 100. Turbo – Choose from expiration times like 60 seconds, 2 minutes, 5 ticks, 15 seconds or 30 seconds. MultiX – Make multiple trades at the same time. Matrix – Short term trading that mirrors a bingo table. Option Builder – Create your own custom options, including expiry times and profit/risk ratios. Sell – Sell off the option at a dynamic price and remove yourself from the option. Pairs – Trade on one asset vs. another. For example, gold vs. silver. Follow – Follow the platform’s most successful traders so you can mimic their positions. This can be a good (and fun) option for beginners. Ladder – Get multiple strike prices with dynamic payouts which can result in higher payouts on short term trades. Next up, common trading tools and features. Extend – Extends the expiration so you can (maybe) realize a profit – or gives you another chance to minimize your losses. Close – Stop an option before it expires so you can either profit or minimize your losses. Double – Increase your investment on an open option which looks like it’ll profit – and try to double your profits. Insurance – Get an insurance policy that will guarantee a refund on the original investment if it expires out of the money. Re-Strike – Change the strike rate for an already opened position. Auto-Trade – Select the number of trades you want and all your profit is added to the investment amount for the next trade. This continues until one trade is wrong or all trades are successful. Signals Trading – Get signals for what assets and types of trades to make, and when. Some of these tools are available free, while others are available on an account by account basis. Lots to take in, huh? And this is merely an introduction. If you want to go deeper into the software rabbit hole, the next step would be to learn more about each feature or tool, and how to use each to make more money trading. But I don’t recommend doing that – not yet, anyway. The first thing I think you should do is learn more about each platform, who their partners are and who would be a good broker to join. Find a reliable broker to work with first, and then learn how to play with all their nifty tools.